Bomb Gaza is just one of many games that has been banned from the Google Play store as the recent emergence of Gaza – Israel video games raises controversy around the world. The Bomb Gaza app was also removed from Facebook. 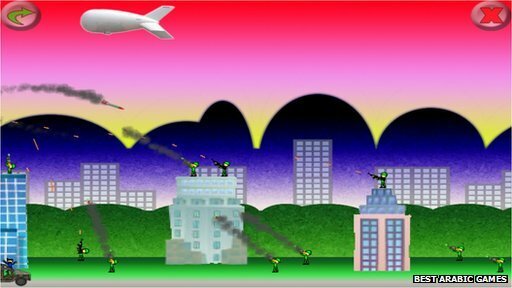 “BombGaza” puts the player in the cockpit of an Israeli jet flying over Gaza’s rooftops with the aim of destroying any building occupied by black clad, rocket toting Hamaz operatives, if however you kill too many civilians a “rage” meter tips into the red zone and the game ends. 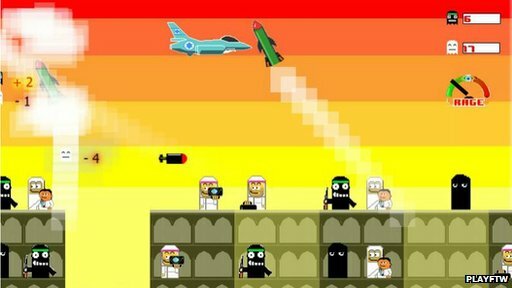 On the other side of the battle there is a game called “Rocket Pride” which is a Flappy Bird clone and requires the player to guide rockets fired from Gaza towards Israel, while avoiding counter measures from Israel’s defensive systems. These are just two examples, but there are lots more appearing in this newly emerging genera which to quote Amnesty International UK are “in highly questionable taste”. Google has blocked a number of these games since being made aware of them. Google’s terms and conditions for developer’s state “We don’t allow content advocating against groups of people based on their race or ethnic origin, religion… ”. However as some of the app names or descriptions are not related directly to the conflict they still remain on the Google Play and even Apple’s App Store. If as a consumer you wish to report any app to Google that you believe breaks its rules you can tap the “flag as inappropriate” link to do this.